Our approach is based on the use of functional medicine and testing of hormone imbalances, fertility issues, Hashimoto’s hypothyroidism, and autoimmune disease. 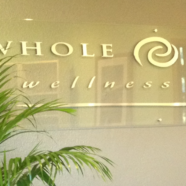 We incorporate naturopathic detoxification and therapeutics, bioidentical hormone balancing, clinical nutrition, Chinese medicine and acupuncture, just to name a few of our modalities. If you do not see a particular service, please give us a call to find out how we can help. Also, explore our frequently asked naturopathic medicine and acupuncture questions.